Laugh-out-loud farce, exploration of family dynamics, a psychological thriller and a world premiere — there’s enticement for everyone in The Merc Playhouse’s line-up for next year. The season starts in March with a children’s theater adaptation of the beloved E.B. White story “Charlotte’s Web.” The play follows Wilbur the pig and his friend Charlotte the spider, who’s determined to save Wilbur from the butcher. 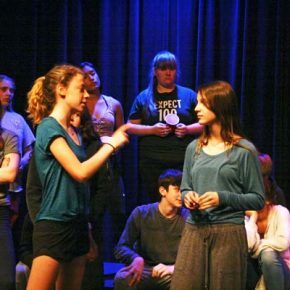 Jane Orme directs the cast of young actors. It’s not entirely clear how cult classics are created, but there’s no question that the quirky drama “Little Shop of Horrors” is among the most revered. The original 1960s film is believed to be based on a 1932 story about a man-eating plant, but because the mythology surrounding flesh-eating botanicals dates back to the 1800s, the film’s roots are murky. 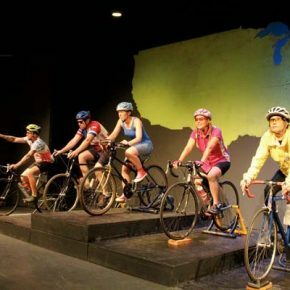 “Bike America,” the dramatic comedy opening at The Merc Playhouse in Twisp this weekend, is not only a literal cross-country journey, but also a journey of discovery that explores issues of identity, individuality and community. An especially timely story about teen cliques, bullying and school violence comes to the local stage next week in the drama “Heathers The Musical,” with unexpected humor and catchy musical numbers.